Thank you for taking the time to view this site. At Empire Aerials Ltd we install only the highest quality digital aerial and satellite components ensuring your job gets installed correctly the first time. Customer satisfaction is guaranteed. 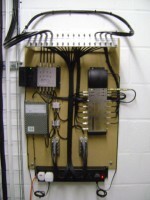 We offer a wide variety of services from basic domestic TV aerial installations and digital TV aerial installations to more complex commercial IRS and SMATV installations. Free friendly advice, Repairs, fault finding, extra points for all freeview, freesat, sky, Virgin and foreign satellite requirements. A nationwide service is covered please call for details. 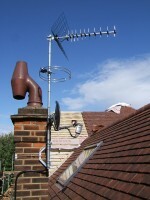 There is no call out charge and aerial installations come with a 12 month guarantee. Free quotations and friendly advice is available, just give us a call.